GEORGIA TODAY met with George Andguladze, opera singer, representative of the splendid cast of the recent Aida, a renowned and exceptionally young Bass who, at the age of 32, has already conquered pinnacles in the world opera art. George started singing folk songs at the age of 6. When he was 10, he became the youngest soloist of the Tbilisi Philharmonic. As a child he performed at various concerts and theaters, including: Théâtre des Champs-Élysées in Paris, Kremlin in Moscow, State Opera House of Georgia and Philharmonic Hall in Tbilisi, Binyanei Hauma of Jerusalem. 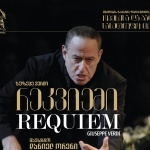 George has shared the stage with such renowned conductors as Vladimir Minin, Givi Azmaiparashvili and Revaz Takidze, and performed with such orchestras as: the Orchestra of Russian Radio and Television, the Orchestra of Georgian Radio and Television, the Orchestra of the State Opera House of Georgia, where the grand names James Brown, Robertino Loreti, Katia Ricciarelli, Paata Burchuladze, Renato Brusson, Kaludi Kaludov and Maia Plysetskaya joined him on stage. The young bass notes that even for him and his colleagues enjoying world acclaim, homeland is something incomparable. “I see many changes. First and foremost, I see the positive changes in people, their attitudes, something that in my opinion makes real changes for the country.” He also makes a comment about the indelible Aida, staged by Franco Zeffirelli that took place on March 4, at the Tbilisi Opera and Ballet Theater: “I am really overwhelmed with emotions. I also talked to Daniel Oren who noted that even though he has conducted on all major stages of the world, he has rarely seen such enthusiasm from the public as that of Tbilisi. I agree with him. I am really happy that I professionally met with my Georgian colleagues for first time and it happened in our home town. This is the incomparable sensation and energy that I got from singing with my compatriots. Frankly speaking, Ramfis is not my favorite part, but it is an important part for a bass singer and therefore, I did not decline it”. Nowadays, the former wunderkind’s repertoire is multifaceted. Apart from opera, it comprises Georgian and Russian romances, as well as Neapolitan songs, for which he gained a lot of awards. In 1998, Rai Uno telecasted him in the show World Talents. At the age of 13, he participated in the International Festival Bravo, organized by Paata Burchuladze, where he was awarded as the youngest participant. Having graduated from Musical School (Tbilisi, Georgia) with a degree in piano, George proceeded with his studies and received a master’s degree in chorus conducting. He graduated at the Conservatory of Reggio Emilia with Maestro Mauro Trombetta and at the Accademia delle Voci Verdiane di Busseto. He completed his education attending masterclasses with Renato Bruson, Lella Cuberli, Bonaldo Giaiotti and Badri Maisuradze. Until today, he has been distinguished for his musicality, elegance and vocal talent. George’s debut in Il Mondo della Luna at the Teatro Comunale di Ferrara in 2009 proved to be a triumph, revealing his vocal quality and artistic gift but the turning point in Andguladze’s career was to be Fernando’s part in Trovatore in Bussetto, Verdi’s hometown, in 2011. 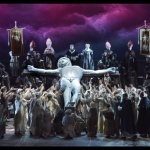 He has sung in Verdi’s other performances, too, such as Rigoletto, Simon Boccanegra, Don Carlo and Stiffelio. A cascade of success stories followed. In Moscow, he was the honorary guest of the Rostropovich Foundation. 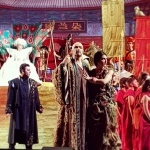 Andguladze has performed the part of Ramfis in Verdi’s Aida at Teatro Regio di Parma in Italy, conducted by Antonino Fogliani. From the concert career, the gala concert held at Auditorium Ranier III is worth particular note, dedicated to Richard Straus and accompanied by the Orchestra of Monte Carlo Philharmonic directed by Jeffrey Tate. He is very nostalgic, which most probably helps him to live inside art and remain deeply in love with it, in spite of his young age, and stay faithful to eternal values. 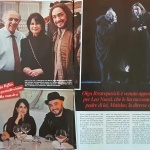 On March 16 and 18, George Andguladze participated in Messa di Requiem by G. Donizetti in the Mysterium Festival, conducted by Gianluigi Gelmetti. As for future plans in April, he will sing the part of Massimiliano of I Masnadieri at Teatro Regio di Parma, which he sang before and merited great appraisal in 2016 at the Verdi Festival, thanks to his musicality, art of Bel canto and thorough Verdi’s style. 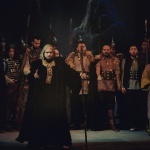 In July, he will take part in the concert in the New York Central Park and then he will debut the role of Timur in Turandot at 63th Festival Puccini in Torre del Lago. In October, he will perform the Oroveso’s part in Norma in Salerno Verdi Theater, conducted by Daniel Oren.